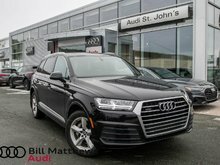 When it comes to buying a pre-owned vehicle in St. John’s, Newfoundland, Bill Matthews Audi is here for you. We have an extensive inventory of high-quality pre-owned Audi vehicles at unbeatable prices waiting for you. Our team of dedicated pre-owned vehicle sales representatives will take the time to listen to your needs and help find the perfect used Audi for you, your family, and your lifestyle. Buying a pre-owned vehicle can be a nerve-wracking experience, especially if you're buying a luxury car. After all, there's more technology in luxury vehicles, and reliability, if we're being honest, is not always up to our expectations. Unless, of course, you opt for an Audi certified pre-owned vehicle. With Audi certified pre-owned vehicles, you get complete peace of mind thanks to a comprehensive 300+ point inspection that covers everything from the engine compartment to the interior and exterior as well as a road test that is designed to uncover any issues before the vehicle goes on sale. No other automaker offers such a comprehensive and complete pre-owned inspection program. There are plenty of other advantages that go beyond the rigorous inspection when you buy an Audi pre-owned certified vehicle. Indeed, you’ll get a wide range of extended warranty options that can cover your vehicle for six years or up to 160,000 kilometres from the original in-service date, and you can also benefit from a 7-day/500-kilometre exchange privilege. Should you encounter a problem while out on the road, you have the peace of mind of knowing that roadside assistance is also available to you 24/7. 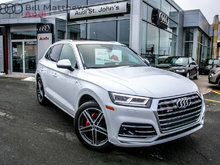 To learn more about our complete inventory of certified Audi pre-owned vehicles, contact us today at Bill Matthews Audi!